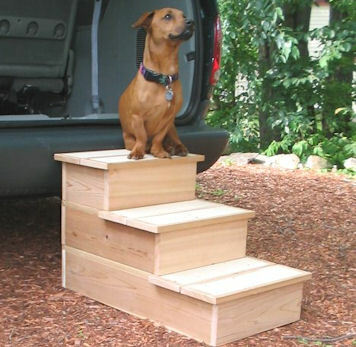 Our Cedar Steps, also know as our original "Pup Stairs", are ideal for outdoor use. 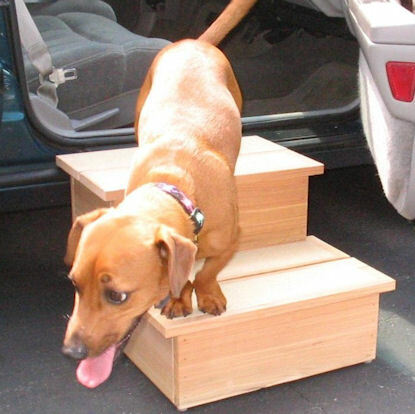 Grit strips are on each step for additional traction. 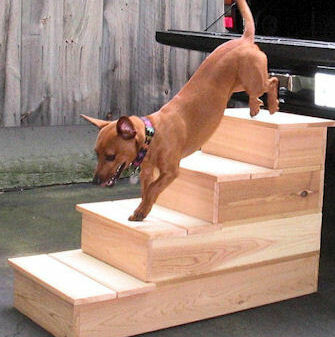 Single, double and triple steps. Single step with handle. 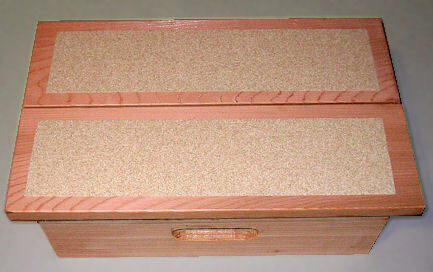 Handles are on all cedar steps models. 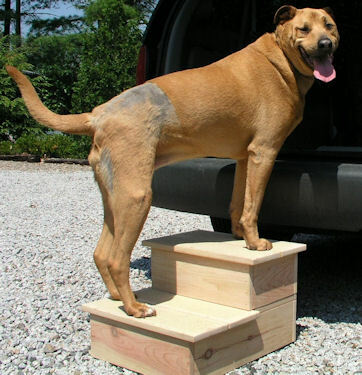 Overall 18" wide and each step is 6" high which have been proven to be the best for most pets. 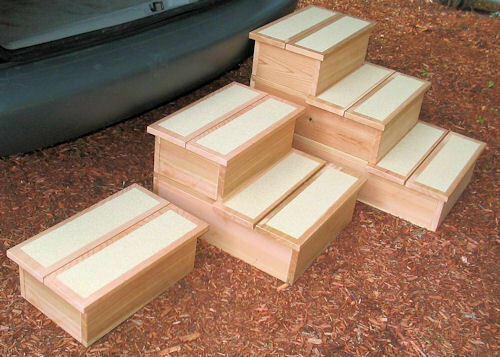 Each set of steps has a handle cut into the back. 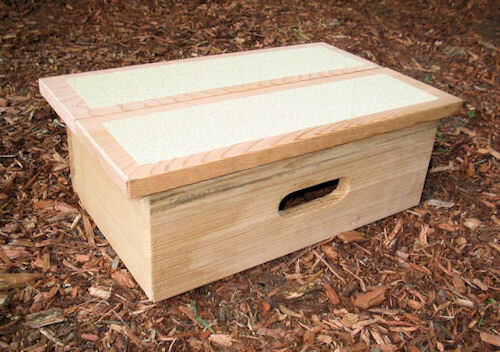 Made of solid weather resistant cedar, they are shipped unfinished which will weather to a light gray patina or the customer can seal or stain if so desired. All models come complete with no assembly required. Take out of the box and use right away. Each step 6" high. Overall 18" wide. Rated over 250 lbs. 1 Step - 6 1/4" high x 10 3/4"